Senator Hope Uzodinma, the Imo State governorship candidate of the All Progressives Congress (APC) in the just concluded governorship election, has described the allegations that he worked for the candidate of the People’s Democratic Party (PDP), Emeka Ihedioha, in the last election as unfounded and malicious. 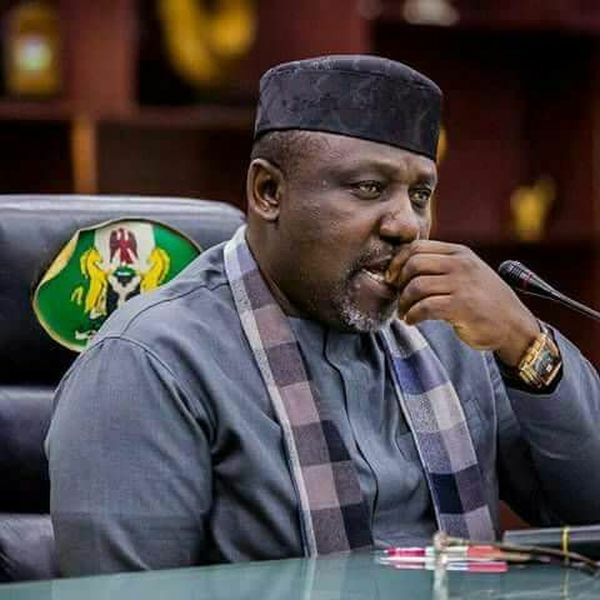 Governor Rochas Okorocha of Imo had said the National Chairman of the APC, Adams Oshiomhole, and Uzodimma were behind the party’s inability to win the governorship election. Okorocha also berated Uzodinma for allegedly celebrating with Ihedioha, after he was declared the winner of the poll. But Uzodinma, who emerged a distant fourth in the election, described Okorocha’s claim as a mere plot to tarnish his image, after working against the APC. The Senator who spoke through his media aide, Mbadiwe Emelumba, noted that “Okorocha is in the habit of lying to tarnish people’s image but he was the person that worked against the APC from the beginning”. The post Imo Guber: Uzodinma Calls Okorocha “A Liar”, Accuses Him Of Working Against APC appeared first on Naijaloaded | Nigeria's Most Visited Music & Entertainment Website.